The American Land Title Association (ALTA) created best practices to help title companies highlight policies and procedures the industry exercises to protect lenders and consumers, while ensuring a positive and compliant real estate settlement experience. The best practices cover all aspects of the title industry including settlement services, accounting practices, and data security. Compliance with these best practices demonstrates that a title company has dedicated the necessary resources to provide peace of mind to real estate professionals and consumers. 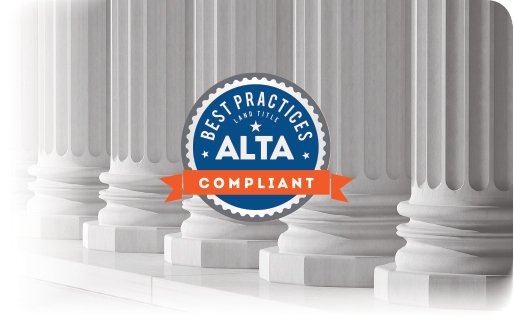 View this DOCUMENT for more information regarding the 7 Pillars of ALTA Best Practices.